We’re the only shop in all of Sacramento that's specialized in vinyl printing. Welcome to our print shop, one of the best in town with excellent customer service, innovative solutions, custom designs, fast turnaround, limitless resources, and affordable prices. We believe in maintaining quality without compromises and meeting our customers’ demands persistently. At Big Print Pro, our prime focus is on large format vinyl prints, especially signs, banners, decals, vehicles wraps, windows graphics, stickers, labels, and much more. Rest assured we guarantee professional service and par excellence at a fair and competitive price. We take immense pride in carrying out standard printing services without any room for compromises, thus ensuring our customers do not have any scope for complaints. Our services entail large format vinyl printing, graphic design, and graphics installation.A friendly staff put in their best effort to produce amazing designs and fantastic prints as per your demands and needs. The sole objective is to maintain our brand’s reputation and follow a persistency in color scheme and layout for all our clients. Whether an already established business or a new corporate trying to find a foothold in the market, we serve everyone and ensure a refreshing look with great qualities. Our team of best designers, printers, finishers, and installers makes us stand out from the rest. Irrespective of time and day, we assure the highest quality prints any time and on any given day. We work after hours and on weekends to meet our deadlines and customers needs. We are customer focused. It should be known that graphic design is not merely about creating quality designs, but correctly printing and installing them. Only licensed and experienced installers are offered by us to execute the task with absolute precision. Once a signage is produced, we ensure that it’s installed correctly. We assign experienced installers to complete the task. Our experts have can install all types of graphic works. We even take up sub-contract works for the largest printers in the US. At Big Print Pro, we make sure your demands are fulfilled with the right printing service. Call or email us today for a free consultation or quote. We're specialized in vinyl printing. BIG beautiful banners! And don't even get us started on fabric banners. We print and fabricate many different types of signs for businesses all over Northern California. We can design, print & install stunning vehicle wraps for your car, truck, van or fleet. What good does it do to print all of these BIG beautiful graphics if you don't have them installed by true graphic installation professionals? A wonderful experience at Big Print Pro! Great customer service. They were very helpful in answering all my questions and guiding me through the process. I had to have signs printed in such short notice and they were kind enough to do so. The owner was a massive help and called to confirm that everything was accurate and answered all my questions. He was very patient and helpful. The signs came out PERFECT. Highly recommend such high quality products and customer service! Excellent professional service in every way. Very prompt with high quality design, print and delivery. I went to three sign companies and it was the most friendly, reasonable and accommodating. Don't waste your time with other companies that just promise to do things, take your deposit and don't perform, while you wait and wait forever. They are the best without a doubt! I am looking forward to retaining their services and to expanding our level of engagement. They possess the rare combination of high end equipment, imaging technical knowledge, and artistic affinity. Their work is great and their customer service is top notch. Thank you. I'm so impressed. We had Big Print Pro and install a huge wall graphic for our office and it looks incredible. It did so much to improve the space. It feels like a new office. The team did such a great job, and owner was right there overseeing quality and every little detail. It wasn't an easy job (it's a huge wall and there are conduit pipes running along it in several places) It's flawless and looks even better than I expected. 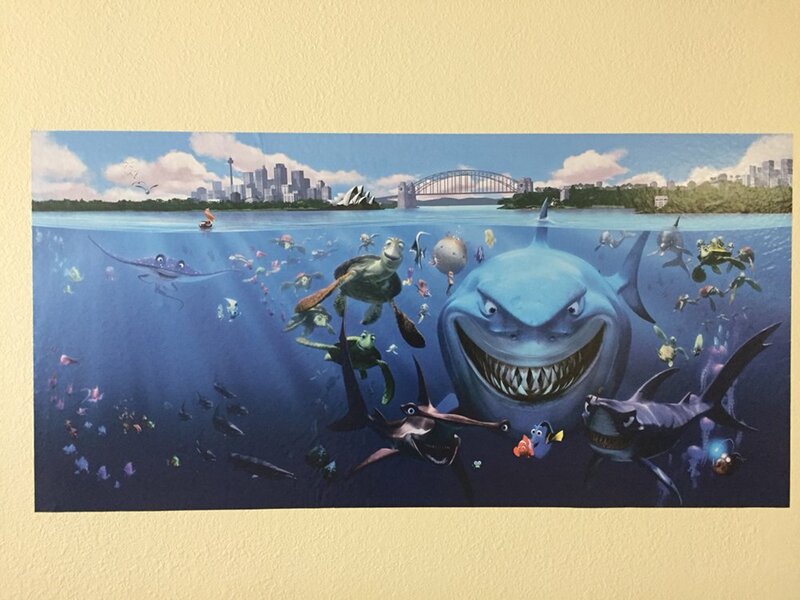 I would recommend these guys for any kind of wall graphic. And considering the attention to detail, I have no doubt they would be a great choice for vehicle wraps or any other large format printing job. They know their stuff and clearly they like what they do. Our company had a big trade fair in CA and we needed vinyl signs and posters. One of the assistants called Big Print Pro and the help we got was amazing. The employees were very kind and helpful. A couple of the employees from Big Print Pro delivered all of the signage we needed and helped to set everything up. The workers stayed and helped get everything set up and in place so that I was not getting distracted too often. This is now our official sign company. They delivered 5-star service, quality, design, and responsiveness and most importantly for us... patience, as we asked them for several changes before the final version of vinyl sign and poster. Words cannot express how happy I am. I would certainly recommend them and ask for future jobs! The customer service was also excellent, helped us every step of the way. They have a customer for life! We take pride in our prints. We never want to be the busiest print shop in town, or the lowest price around. Our focus is to produce high quality large format prints including banners, signs, vehicle wraps and decals, interior and exterior window and wall coverings and more. Rest assured whatever we are producing it will look professional and will be provided at a fair and competitive price, Guaranteed! One of the key elements producing fantastically beautiful prints is to start out with an amazing design. We want to make sure your brand remains consistent in the layout and color scheme it was designed for. Don’t have a professional brand yet, or looking to refresh the look of your business? We have partnered with one of Sacramento’s premier graphic design firms to assure our customers that we will provide you with the highest quality prints possible whenever you hire us to do so. Once your awesome signage is produced it needs to be installed correctly. That is why we assign experienced and licensed installers to complete the task. Our installers have completed installations for the Golden 1 Center, Raley Field, Westfield Galleria Mall, and regularyl to do sub-contract work for some of the largest printers in the world. HUGE PRINTS, GREAT QUALITY, FAST TURN-AROUND!